This is our best mmwave IQ mixer yet! 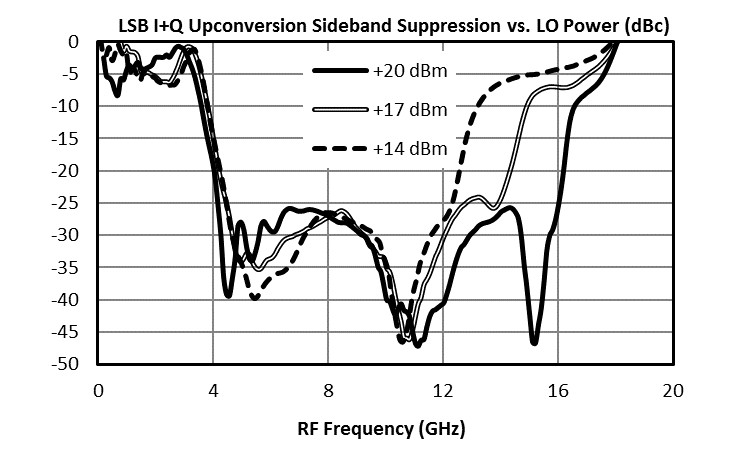 The MMIQ-1865L/H features an astounding 50dB of L-to-R isolation across a wide 18 to 65 GHz frequency range. 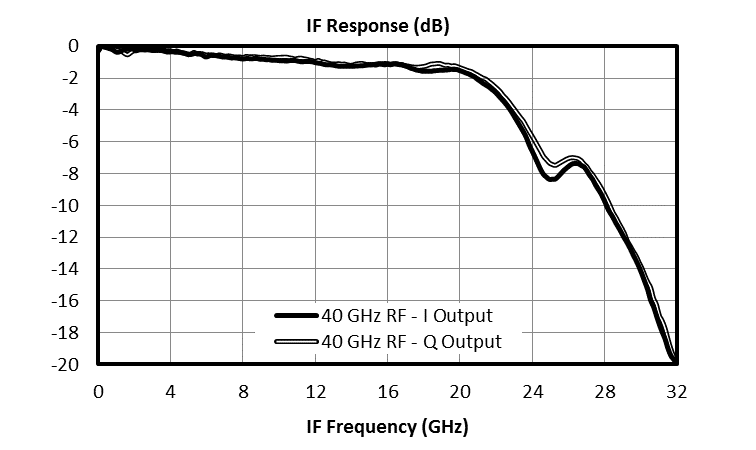 Combined with 23 GHz of IF bandwidth, this MMIC mixer is the ideal solution for wideband IQ and vector modulation, band shifting, and much more at K, Ka, and V bands. Excellent amplitude and phase matching result in 35dB of image rejection. 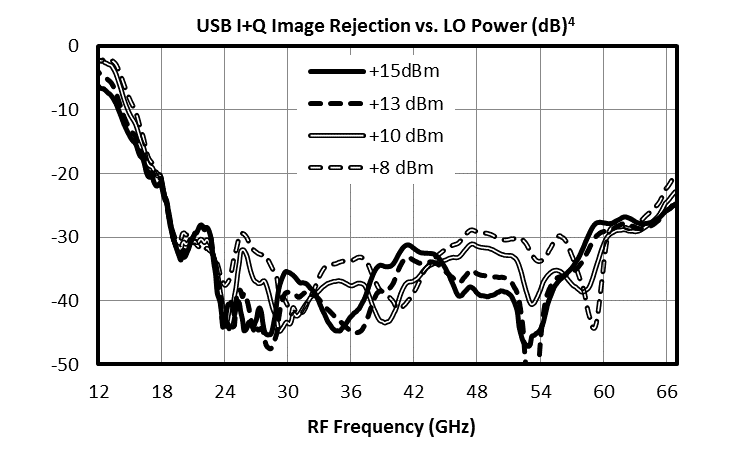 We offer two diode options: MMIQ-1865H for high linearity and MMIQ-1865L for low power applications. Both are available in bare die or connectorized module. 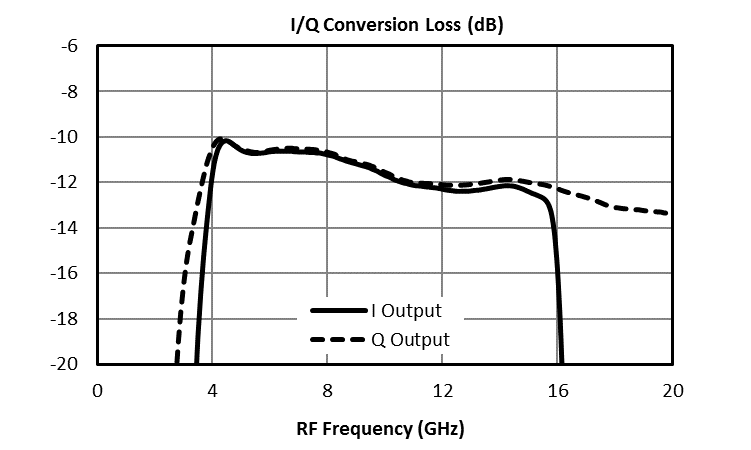 For best performance, the AMM-6702 is recommended to supply the high power levels required for the MMIQ-1865L/H.